Unfortunately, innocent people get hurt by commercial vehicles in Miami. If you or a loved one was injured by a commercial vehicle, then we would urge you to call the commercial vehicle accident attorneys at the Wolfson Law Firm. Our Miami personal injury lawyers can help you put the pieces of your life back together again. We are available to speak to you. Just call us for your free consult at (305) 285-1115 or toll-free at (855) 982-2067. The investigation of any commercial vehicle accident must be done as quickly as possible. As time passes, evidence can get lost or even destroyed. 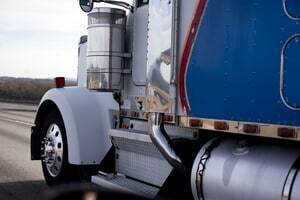 It is for that reason that the best Miami truck accident lawyers will often send preservation letters to the truck driver, owner and any corporation that may have an ownership interest in the commercial vehicle. The preservation letter essentially requests or demands that certain evidence be preserved. If the recipient of the preservation letter fails to preserve evidence that was requested, then there could be legal ramifications in terms of sanctions and inferences. The preservation letter also demands that evidence not be destroyed altered or lost. Your Miami truck accident lawyer will likely spend a considerable amount of time inspecting the evidence that is collected in the course of the case. In these types of cases, it is sometimes not what you see but what you don’t see. It could be a missing page from a logbook or a missing record in a stack of paper. Once the missing piece of evidence is discovered, it provides a thread for the attorney to pull on and pursue. As with most things in politics and in life, the cover-up is often worse than the crime itself. Many owners and operators of trucks involved in serious and tragic accidents have expose themselves to tremendous liability due to attempts to cover up or distort evidence. It is your attorney’s job to discover and ultimately overcome any attempts to destroy or alter evidence. At the Wolfson Law Firm, our Miami commercial vehicle accident attorneys have represented and advocated for commercial vehicle accident victims since 1963. We are ready to help you. 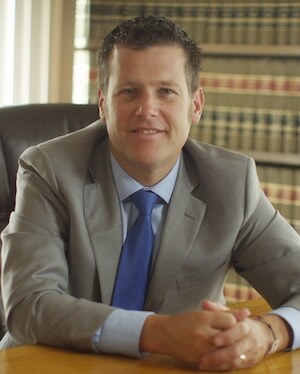 Our managing trial attorney, Jonah Wolfson, is a bilingual commercial vehicle accident attorney in Miami. Call us anytime for your free consultation at (305) 285-1115 or toll-free at (855) 982-2067. Our Miami commercial truck accident lawyers offer their services to the people of Miami and any individual hurt injured in any type of truck accident or crash in Hialeah, Miami-Dade County, Medley, Broward County, Homestead, Miami International Airport, Palm Beach County, Miami Gardens, West Palm Beach, Wellington, Port Everglades, Florida City, Davie, Port of Miami, Aventura, Port of Palm Beach, Fort Lauderdale, Jacksonville, Vero Beach, Orlando and Tampa.